job responsibilities. Consequently, little or nothing may get done. The energy management coordinator (EMC) should be strong, dynamic, goal oriented, and a good manager. Most important, management should support that person with resources including a staff. 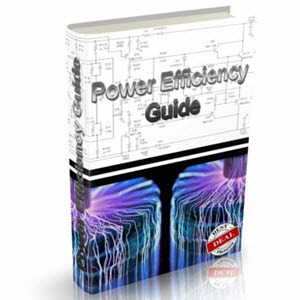 The energy management coordinator should report as high as possible in the organization without losing line orientation. 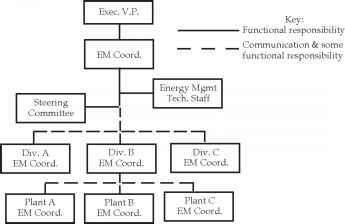 A multiplant or multidivisional corporation may need several such coordinators—one for each plant and one for each level of organization. Typical scenarios are illustrated in Figure 1-8.